~ * ~ Daniel Winnik has been a welcome surprise in a tough season. When the Pens aggressively pursued him, I admit I wasn’t sold. I didn’t really see what was so special about him. Allow me to wipe the egg off my face. I love him. He was an immediate upgrade on the PK. He’s a big body who is aggressive and talented at taking away chances, even in big ice situations like Sunday’s OT penalty kill. He looked to be a solid 3rd or 4th line addition, but when injuries and illness rained down, Winnik got the chance to skate on the first line with Crosby. He did well! He’s a puck-possession guy who can skate and his size seems to afford Sid the space to do his thing. I’d be surprised if his time on the first line lasts but it shined a light on what Winnik brings. When Letang went out with a concussion, Winnik also made it known to coach Johnston that he had practiced as a defenseman in Toronto and would be willing to help if needed. He’s quite the smart acquisition. 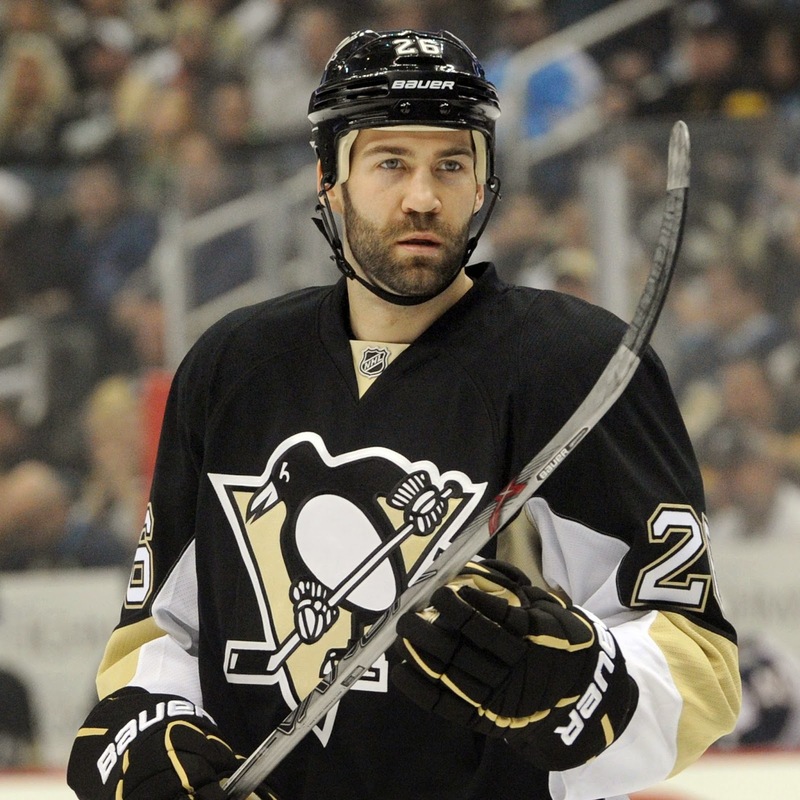 Winnik brings character and versatility. He’s a skilled defensive forward who is a top notch penalty killer. He brings a toughness and options at a time when the Penguins need both. 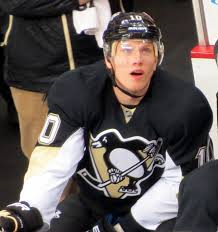 ~ * ~ Christian Ehrhoff is having a career changing season…..for the worse. He struggled to return from a concussion only to leave his first game back with a new mystery injury. Johnston wouldn't reveal the nature of Ehrhoff's upper-body injury, but there's reason to think he may have suffered a recurrence of a concussion after slamming head-first into the boards in last week's game against the Blues. Missed five games with a lower-body injury. Missed 12 games with a head injury. Missed six games with an undisclosed issue. Missed another contest with an undisclosed injury. While it isn’t Ehroff’s fault, his plague of injuries, combined with Letang’s recent concussion, has forced the salary cap challenged Pens to dress only five defensemen. The extra minutes will eventually exact a toll if he's unable to return and perform at capacity. 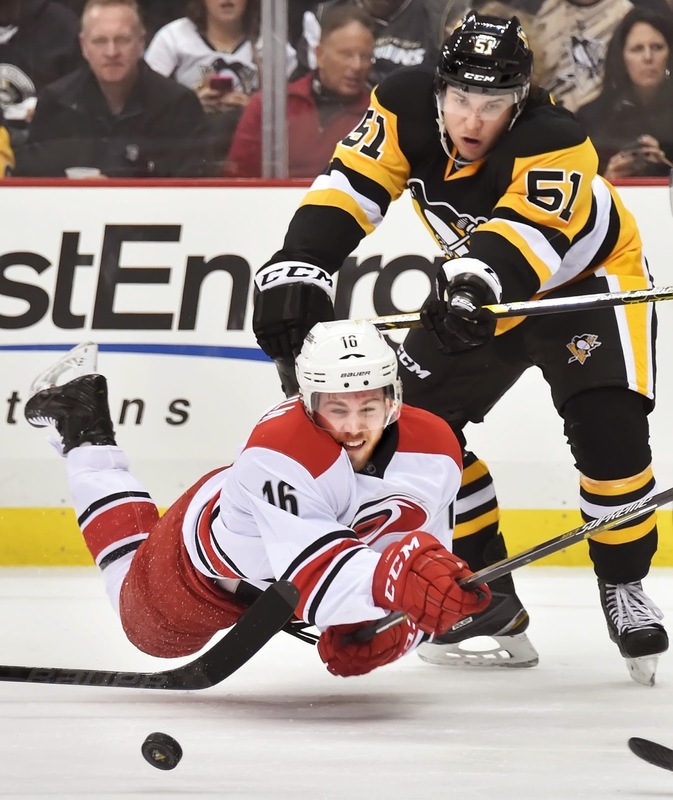 The questions heading into the playoffs are: What will the Pens’ blue line look like? And if Ehroff is able to return this season, what will his level of play be? He’s expected to resume practice this week. There’s no timetable for his return but Johnston has been quoted as saying he anticipates dressing five defensemen again Wednesday. ~ * ~ The Penguins’ penalty kill is ranked #2 in the NHL. That was evident when they were forced to play short-handed for the final 3:52 of overtime Sunday as the result of Patric Hornqvist's high-sticking double-minor. San Jose managed five shots on goal in overtime, but could not beat Fleury. That 3:52 of hockey was not for the faint of heart. Coach Agnew’s PK guys were fierce in front of the best Penalty Killer on the team, Fleury. I was proud that the often unpredictable crowd at CEC were on their feet and gave a thunderous cheer when the horn sounded taking the game into the shoot out. ~ * ~ Ben Lovejoy and Derrick Pouliot are a classic defensive pairing and I love them together. It’s really funny but I feel like Lovejoy’s time in Anaheim was training to return to Pens as the defenseman they needed to pair with Pouliot. People who didn’t pay attention to Ben when he was in the Western Conference scratched their heads at the acquisition but his pairing with Cam Fowler was the perfect prequel to his pairing with Pouliot. Fowler and Pouliot are both left-handed, offensive-minded, skilled defensemen. Lovejoy is a solid consistent defensive-minded defender who leads the league in hits. He’s become adept at separating player from puck.